There’s something about Bald Head Island – the beautiful water surrounding the shores, the intimacy of it being just off the coast of North Carolina, maybe even the fun thought of golf carts being the only mode of transportation. Whatever it was, it caught the attention of Jonathan and Amanda while they were visiting her parents and they knew that’s where they wanted to get married. With both families onboard and friends excited for a wedding weekend away, the plan was set in motion. Some guests crossed the country while others crossed the Atlantic, coming from places as far as California and England. “Out of the 180 guests attending, more than 170 were from out-of-town,” the couple said. To get ahead of travel confusion, Jonathan and Amanda gave a year’s notice and created a detailed wedding website. 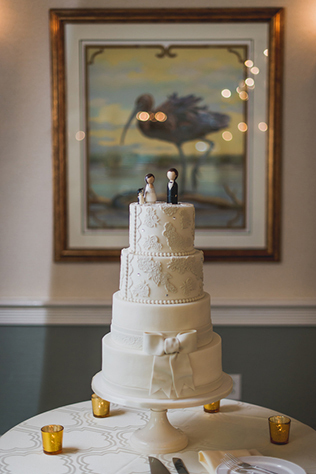 “There are no hotels on Bald Head Island, so the major issue was ensuring everyone had a place to stay,” Amanda said. The website was finished before the save-the-dates went out, featuring a guide on how to rent a house on the island. 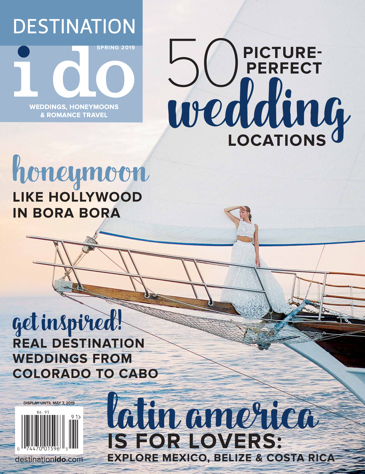 Any other destination issues were handled by their wedding planners who were familiar with the area after putting together other Bald Head Island weddings. Over their wedding weekend, guests took a ferry ride to get to the island. Jonathan and Amanda kept the celebration going from start to finish with planned activities - welcome drinks, a bonfire, and a farewell brunch were just a few on the agenda! 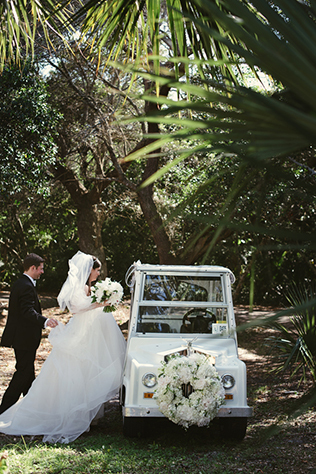 Golf carts were the only mode of transportation on the island, so the bride and groom stylishly stood out with a Rolls Royce golf cart. "We were so grateful to have all of our favorite people on one tiny little island for a long weekend," the bride and groom said. "We had the wedding of our dreams in a dream location!" 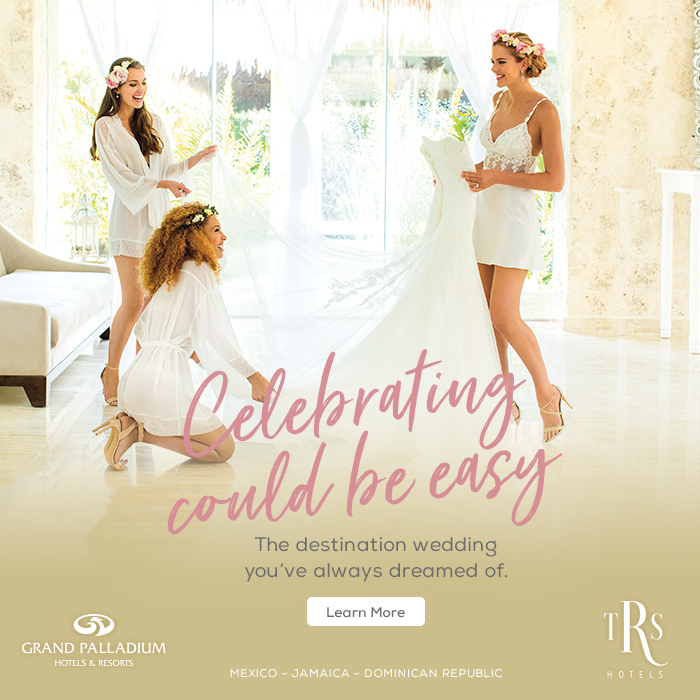 After inviting nearly 300 guests to attend their wedding, the newlyweds suggested engaged couples planning large destination weddings should follow suit in enlisting a wedding planner and giving plenty of notice for guests to make travel plans. “Be prepared to receive some somewhat surprising and a bit disappointing ‘no’ responses,” Amanda cautioned. “Remember, not everyone can travel for all sorts of reasons." 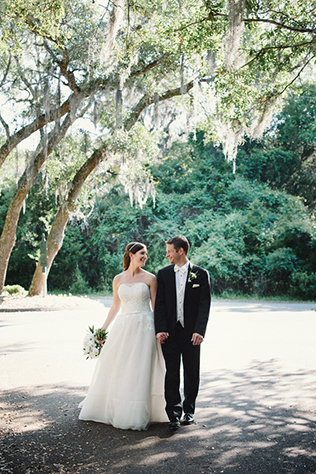 Amanda & Jon | Bald Head Island Wedding from Light Cannon Films on Vimeo.